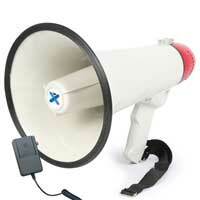 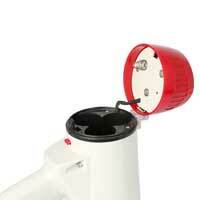 Powerful megaphone with built-in 40W amplifier and removable anti-feedback microphone. 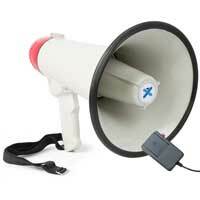 Features a record function, adjustable shoulder strap, siren function and volume control. Distance 0.7 - 1km depending on the conditions.